The best Kmart hack is a $6 Kmart rubber broom and yes, you need it. The $6 Kmart cleaning tool that promises to replace your broom, mop and vacuum cleaner. Apparently the best cleaning tool that money can buy isn’t a fancy vacuum cleaner, but a $8 squeegee broom from Kmart. The reason being that it’s a mop, broom, vacuum cleaner and window washer all in one. 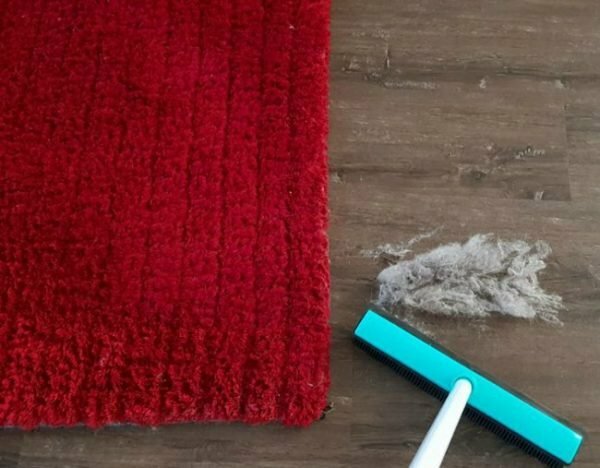 The premise behind it is simple – instead of a normal bristle brush, you have a squeegee strip sitting above a head of rubber bristles which makes it a wonder for getting dust out of rugs and carpets. 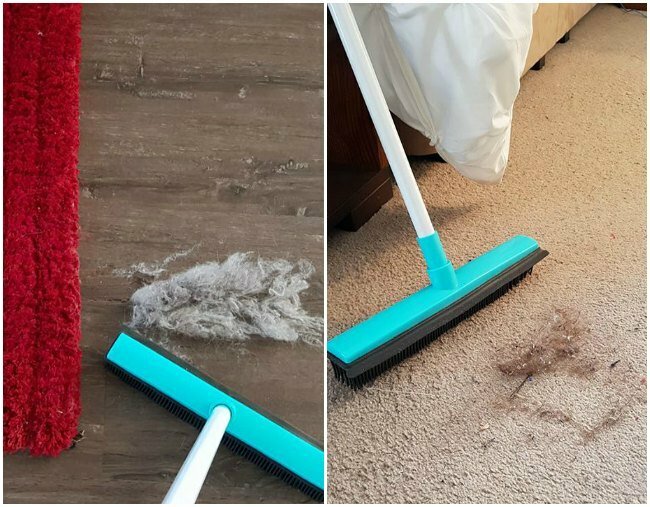 Pet owners, hair dressers and multiple members of our favourite Facebook page – Kmart Mums, have been singing the brooms’s praises as well. According to glowing reviews, the product works because the brushes first loosen the dust, pet fur and grime on whatever surface you’re cleaning, before the squeegee gathers it all together. 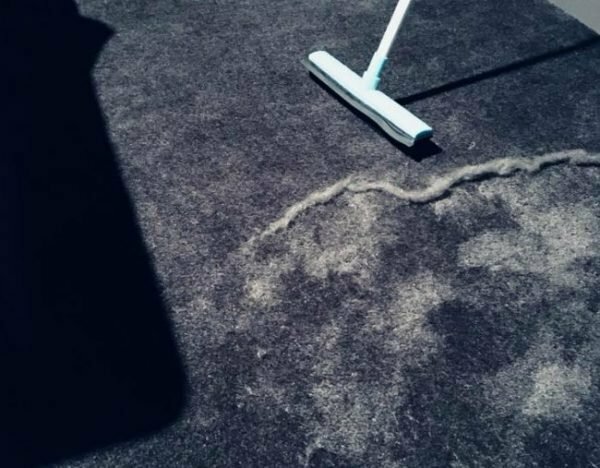 Many users also say that the broom works on couches and bedding too, and that it’s actually more effective than their vacuum cleaners. Kmart Mums member, Amanda Blackwood says her and her husband are obsessed. She even told Mamamia that it’s inspired him to clean more. "Would recommend it a thousand times over," wrote Amanda on the Kmart Mums Facebook page. Image: Facebook. "My husband loves the broom as well and has taken to cleaning the whole carpet with it!! That’s one less room for me to clean each week," she said. Another happy user, Adelaide mum, Ellyn Fogarty, made a public post on her Facebook page after she was so impressed with the results. We&apos;re very impressed, but also a bit disgusted. Image: Facebook. 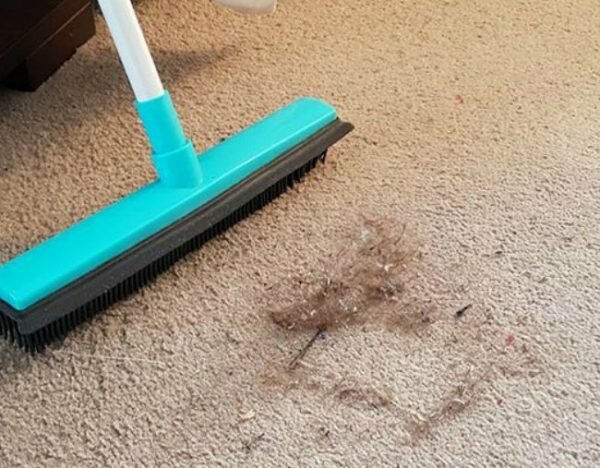 This is what came out of this user&apos;s carpet AFTER she vacuumed. Image: Facebook. The words, "run, don&apos;t walk" seem very applicable. Have you bought yourself a rubber broom and does it live up to the hype? Tell us in a comment.